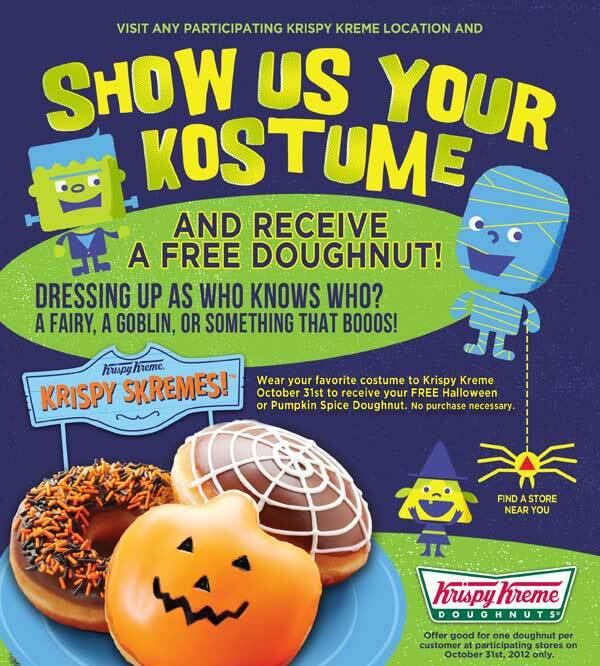 Krispy Kreme – On October 31st, come in in your costume and get one free doughnut of your choice (including the Ghostbusters doughnuts) at any participating Krispy Kreme US and Canadian location. Offer good on October 31st only. No purchase necessary. While supplies last. One doughnut per customer. IHOP – Hey parents! Bring your kids to IHOP this Halloween from 7:00AM-10:00PM for a free Scary Face Pancake! Restrictions apply. One per child, ages 12 and under. Dine in only. Join us October 19-31 for another fun-filled Halloween at Bass Pro Shops as we bring you The Great Pumpkin! We will have free pictures, crafts, trick or treating, a costume parade and much more! You’ll have to choose your date when you purchase tickets – options are any Friday or Sunday between now and October 27. The deal will be available on Living Social for the next 44 days unless it sells out. You can purchase up to 6 tickets. I know a lot of families have a cherished fall tradition of going to the pumpkin patch to pick out pumpkins (pumpkin patch guide on Richmond.com). We never started that, so I love to get a great deal on our pumpkin(s) at Trader Joe’s – $3.49 for a quality good sized-gourd. If you need one, or need extras, check it out! What’s your favorite place for pumpkins? My oldest is so excited about pumpkins this year – he even drew me a picture of exactly what kind of angry-faced pumpkin he wants me to carve!